Look for things to place outside your home that bring a smile to your face, whether it be immaculate and deliberate plant and flower selections, or even garden gnomes, bird houses, or a yard sign with a catchy phrase. You can even create your own yard art. Treat your yard as another “room” to decorate with your own unique style. Extend the space of your home by creating a comfortable outdoor area that you want to spend time in. 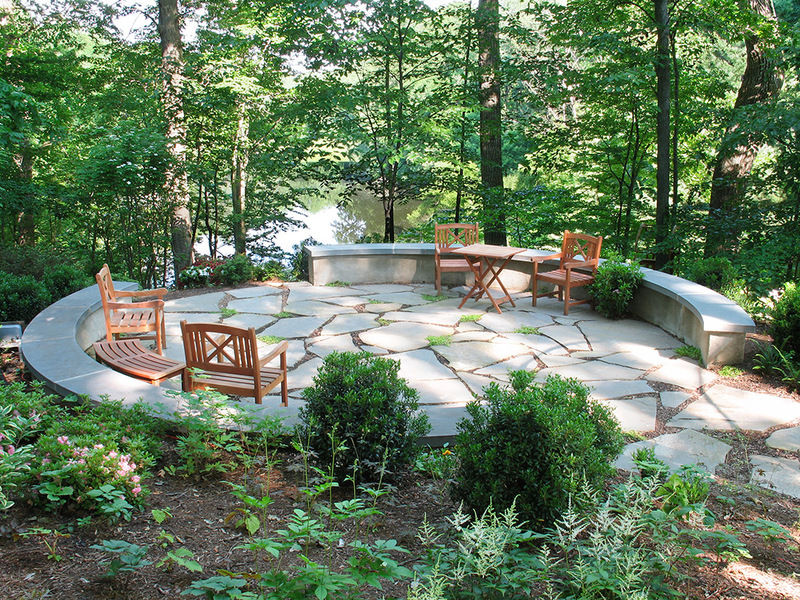 This space can be a place to sit and relax, or to dine al fresco. Or, you may want to have both of these spaces outdoors. The key is to create an ambiance that is reflective of you and warm and inviting for your guests. Take a look at some of our custom designed outdoor fire places, fire pits and grills and patio areas. What do your plants say about you? Including plants that fit the personality of you and your home can add curb appeal. Are you a person who likes a clean, modern yard? Or do you prefer the look of a whimsical garden? Perhaps country charm is more your speed. Whatever your style may be, it is easy to bring it to life in your yard by adding the right plants. At Shorb Landscaping, our professional landscapers and designers can help you create an outdoor space that reflects your personal taste and style. You call us at 301-897-3503 for a consultation.